What are your preferences? Choose among the specifications below and we’ll show you the boats that fit your needs. That said, choosing the right boat can be very challenging, what with the hundreds—if not thousands—of possible options available to you. That is why Europa Yachts, the premiere yachting authority in the country, is prepared to help you find a boat that truly addresses your needs and matches your personal preferences. As the most trusted dealer of sailboats and motor boats in the Philippines, Europa Yachts offers the largest fleet of vessels from some of Europe’s leading yacht builders, which include Lagoon, Azimut, Beneteau, Monte Carlo, and Construction Navale Bordeaux (CNB) . This brief guide will fill you in on some of the most important considerations to make when searching for your yacht. Towards the bottom of the page, you’ll also find an-easy-to-use yacht selection tool that will allow you to explore the different boats that we offer, with the end goal of helping you discover the perfect yacht for your needs. One crucial factor to consider when purchasing a yacht is whether to buy a sailboat or a motor boat, which differ based on the source of the power they use for propulsion. Naturally, sailboats possess sails, which harness wind power to enable the vessels’ propulsion. Motor boats, on the other hand, rely on the power afforded by their engines. Nevertheless, many sailboats today are actually hybrid crafts that rely on both sails and engines for cruising and maneuvering. Naturally, if you’re after speed, then a motor boat might be the right option for you. Motor boats can skim through the surface of the water, enabling them to attain speeds that many sailboats generally can’t reach. 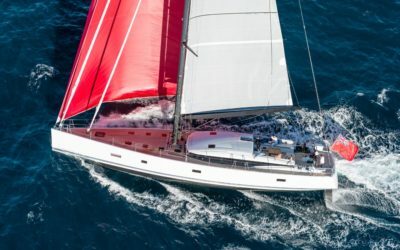 An alternative option for you if you still want a sailboat but desire speed at the same time is to get a multi-hull sailboat instead of a mono-hull one. Unlike a mono-hull sailboat, a multi-hull sailboat like a catamaran or a trimaran is not weighed down by a stabilizing ballast, which means it has less excess mass and generates less inertia, allowing it to achieve greater acceleration and better maneuverability. In terms of ease of operation, motor boats have the upper hand on sailboats because the learning curve for a boatsman or boatswoman is much less steep. Sailboats, on the other hand, are generally harder to operate because of the many elements that need to be considered and the many procedures that have to be performed. For instance, one has to evaluate the direction and power of the wind, as well as assess the strength of the tide and water currents. These must then be considered in relation to how to rig the boat to get the best possible sailing outcome. Nevertheless, these considerations are practically what makes sailing fun and why sailboats are the domain of those with a more adventurous spirit. Because sailboats have to make room for components like the mast, boom, sails, and rigging, they generally have less room to spare—on the deck and below, inside and out—as living space for the passengers. Of course, this tends to be less of a concern if you have a bigger sailboat. Otherwise, a similarly sized motor boat will give you more room to move about, which makes a lot of sense if you’re fond of bringing large groups of people on board. The general hull design differences between sailboats and power boats can also have a bearing on your decision regarding which boat to buy. As mentioned above, traditional mono-hull sailboats typically rely on a ballasted keel for stabilization on water. This heavy backbone of the hull can sit so low as to give the mono-hull sailboat a very deep draft, preventing it from going into shallow waters. 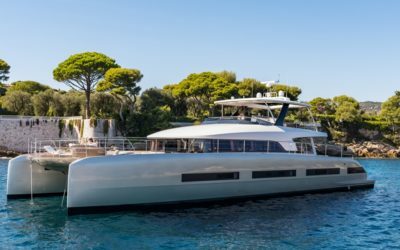 However, like motor boats, multi-hull sailing catamarans and trimarans don’t require such high-density ballasts, which means they can go closer to the shore and into shallow waterways where traditional mono-hull sailboats can’t go. Because sailboats can make use of the wind and rely on engine power only when desired or needed by their crews, they tend to consume less fuel than motor boats. Moreover, motor boats tend to have engines that are bigger and more powerful, which means you see more of them sitting idle when fuel prices go up! Nevertheless, that doesn’t mean you can’t go the motor boat route if you’re concerned about fuel expenses. Smaller and slower motor boats generally consume less fuel than their bigger and faster counterparts. 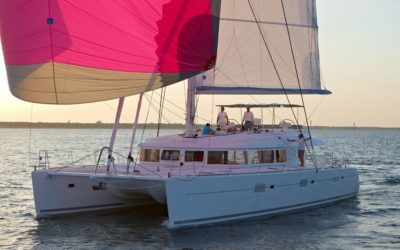 Finally, if you’re after a more leisurely yachting experience without the noise generated by an engine, then a sailboat might be more right up your alley. 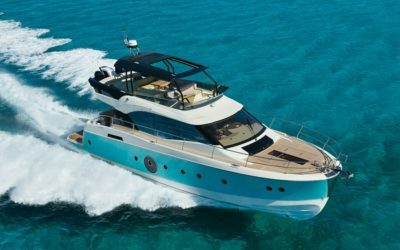 Otherwise, if the roar of an engine is part and parcel of cruising adventures for you, then you certainly wouldn’t go wrong with a motor boat. 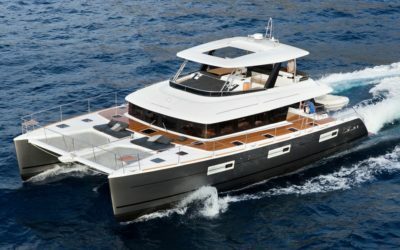 Another dimension of the “which yacht to buy” decision is whether one should buy a mono-hull or a multi-hull boat. This question is also influenced by a number of factors, which include the items below. 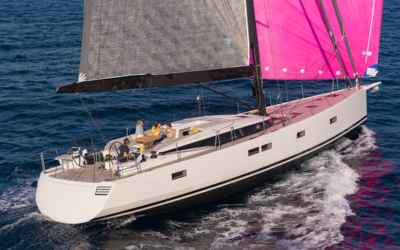 The most obvious difference between mono-hull and multi-hull boats of similar length—whether with sailboats or motor boats—are their layout and space provisions. 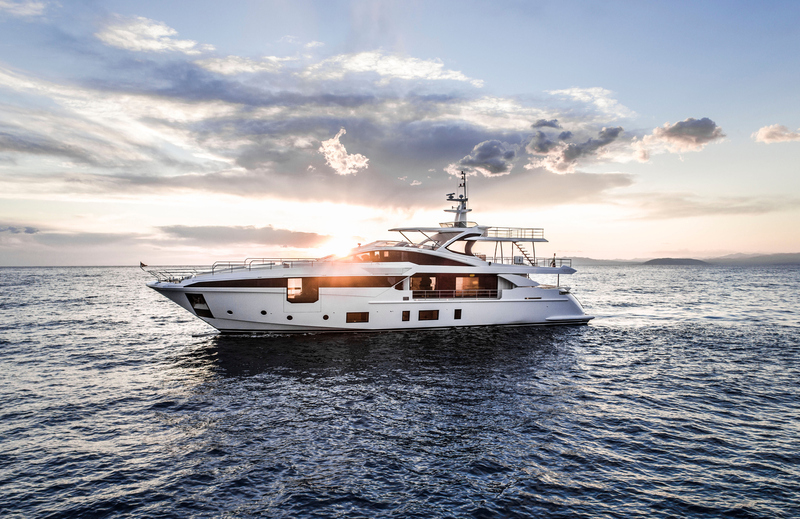 As you can imagine, the combined space of staterooms, saloons, deck, and flybridge will be significantly larger on a catamaran than on a mono-hull boat, which make the former perfect for bigger groups of people. It is important to note, however, that the combined space of trimarans aren’t typically any larger than mono-hulls. This is because while trimarans are three-hull vessels, two of their hulls serve the main purpose of being outriggers instead of being hulls that can house cabins. As you have already learned above, mono-hull sailboats typically have a ballasted keel in order to maintain stability on the water. 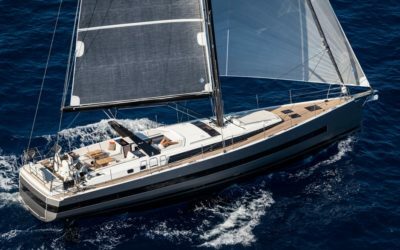 Multi-hulls like catamarans and trimarans, on the other hand, rely mostly on the physics of their broad profiles for stability, which they certainly don’t lack. It takes a really extreme weather condition for a modern multi-hull to flip over. 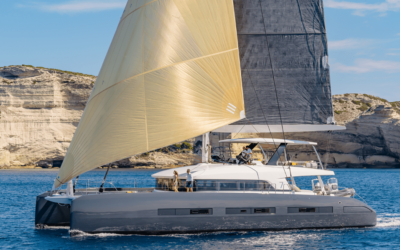 In any case, the lack of a heavy lead ballast, plus the natural reserve buoyancy afforded by their flotation chambers also mean that multi-hull sailboats are less likely to sink if they capsize. Nevertheless, if you’re in the market for a mono-hull sailboat, you can rest easy in knowing that a ballast is usually designed to self-right the boat when it heels too much, and the boat can also be equipped with flotation devices to prevent it from sinking in a worst-case scenario. 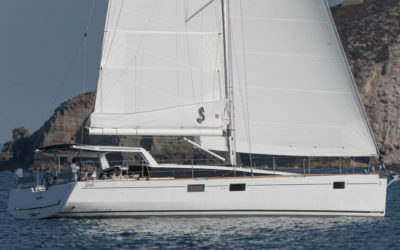 Moreover, many yachtsmen and yachtswomen will attest that mono-hull sailboats provide a more “authentic” sailing experience, since they can perform exciting maneuvers on it, like gut hiking with their crew on the windward side of their heeling boat. Because of their form factor, sailing and engine-powered multi-hulls tend to have smaller wetted areas than their mono-hull counterparts. Having a smaller wetted area means that the hulls of a multi-hull are less immersed in water, resulting in less drag and less fuel consumption, particularly when the boat is used on calm waters. 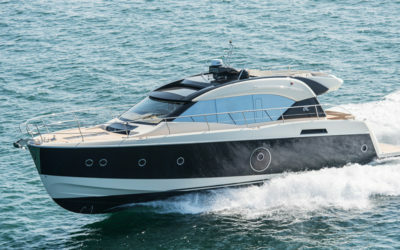 However, this advantage in fuel efficiency may be offset in rougher water conditions, where a mono-hull’s design may present less water resistance, thus resulting in better performance. The nature of a vessel’s hull can also affect its speed. With less drag due to a smaller wetted area, multi-hull sailboats and motor boats can cruise through the water faster in most conditions, particularly when moving leeward or downwind—that is, in the direction of the wind. 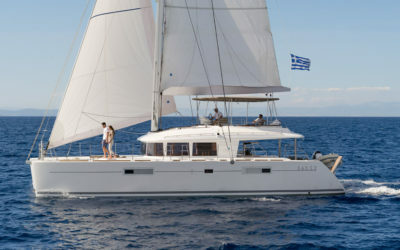 However, many yachtsmen and yachtswomen will tell you that the hull design of mono-hulls tends to be better suited for cruising windward or upwind, especially because the underneath of a mono-hull wouldn’t slap as much on the surface of the water the way a multi-hull would in a lumpy sea. This results in better comfort for the passengers. If you don’t known the first thing about buying a yacht, you might be tempted to just purchase the biggest boat you can buy. After all, “the bigger, the better” is the mantra dictated by the crazy rich. 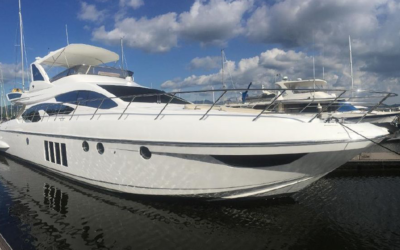 However, whether you’re working on a tight budget or money is no object to you, knowing what size of boat to buy is actually one of the most important factors to consider when you’re getting a yacht, especially if it’s your first time doing so. This is because every prospective boat owner will be using their boat differently. You might want to have a yacht primarily for relaxing alone, but some of your friends might want one for recreational fishing, for socializing with their friends, or to serve as a springboard to a wide range of watersports. To get you started, consider first how many people you plan to get on board your vessel. Many yachting experts will tell you that, in order to calculate the ideal number of persons that a boat can safely carry, the rule of thumb is to multiply the yacht’s length with the width before dividing the resulting number by 15. Whether you’re buying a 30-foot boat, 51-foot boat, 63-foot boat or an even larger boat, this formula should give you an idea of the yacht’s capacity limit, allowing you pick the right size of yacht and to prepare the right amount of safety implements that the boat should carry. Knowing what size of boat to buy will also help you determine possible costs of ownership. Aside from fuel and maintenance costs, also consider your mooring expenses. Note that larger yachts can’t be trailered, so you may have to rent or buy a pier slip where you can moor your boat when it is not in use. After carefully considering the options available to you, you’re one step closer to getting that boat you’ve always wanted. Nevertheless, if you’re still not sure about what type or model of yacht you should get, the experts at Europa Yachts are more than happy to lend a hand. Call us now at at (+632) 553-2027 or (+63) 917-657-0045 to book an appointment, or send us an email at info@europayachts.net to get in touch with our team. We’re looking forward to being part of your yachting adventures!